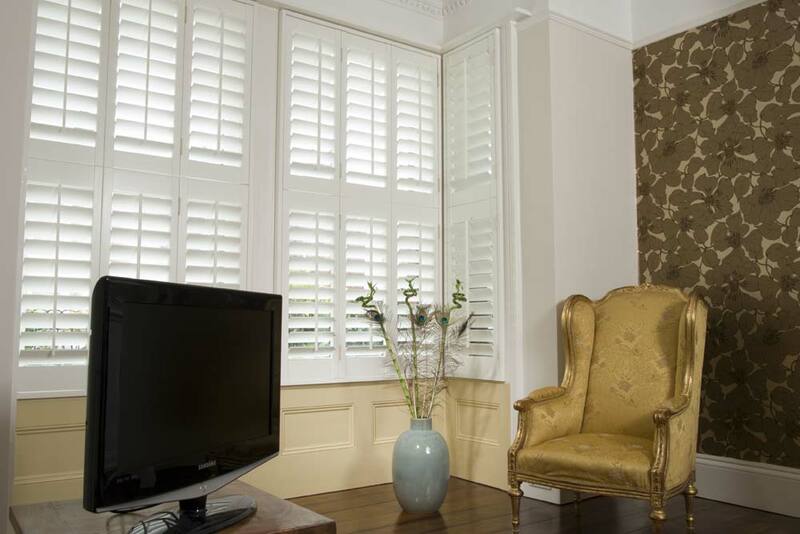 Inspired by the great plantation mansions of America's Deep South, classic internal plantation shutters lend a sophisticated dimension to any room. 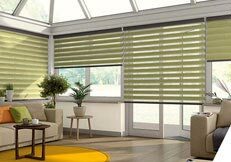 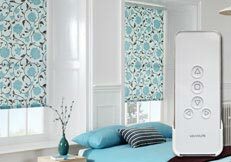 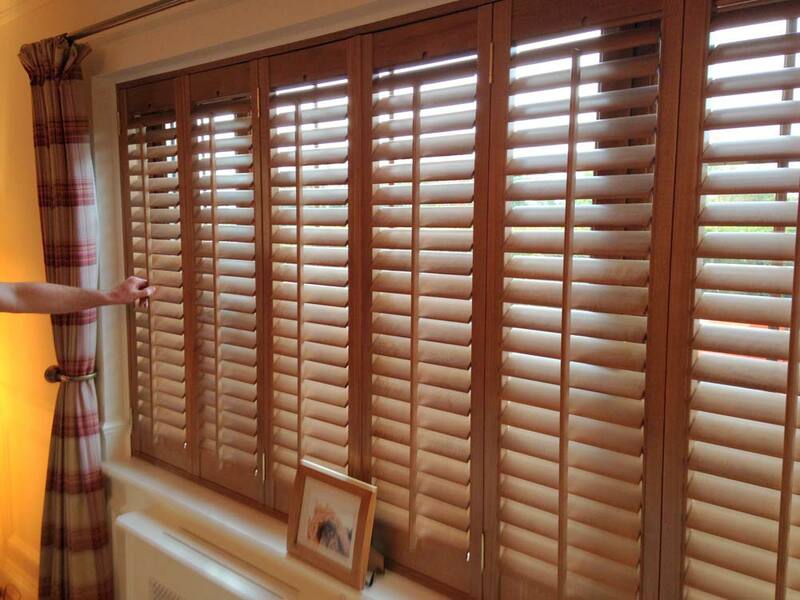 The blind of choice in most European countries, internal shutters have now become the "must have" home improvement in the UK. 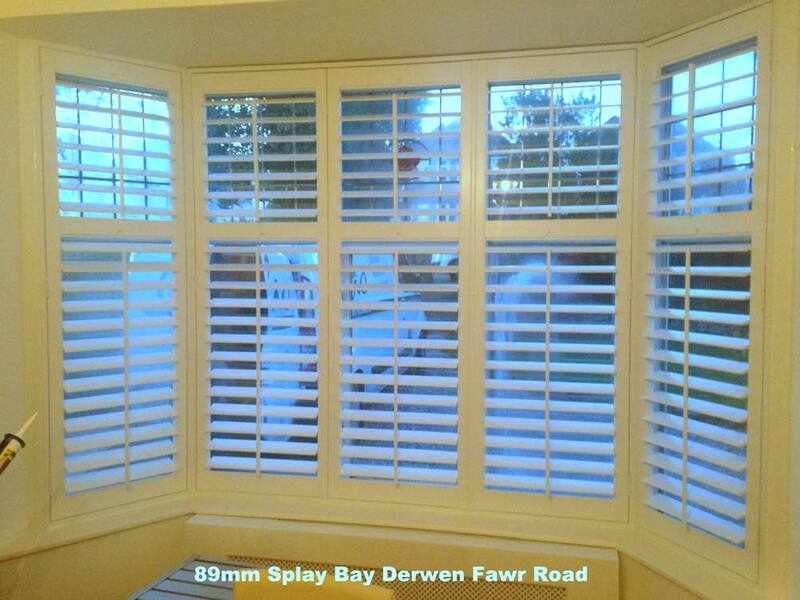 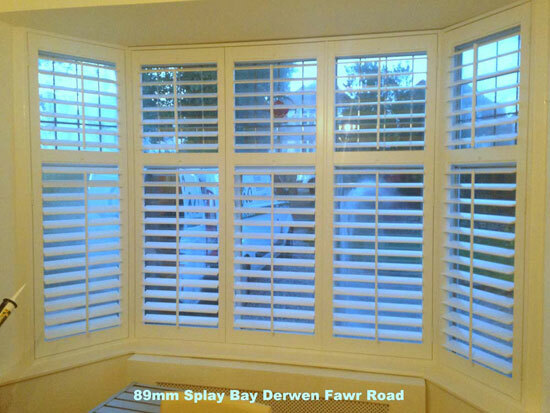 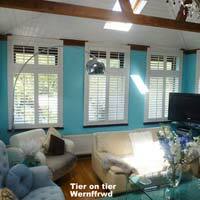 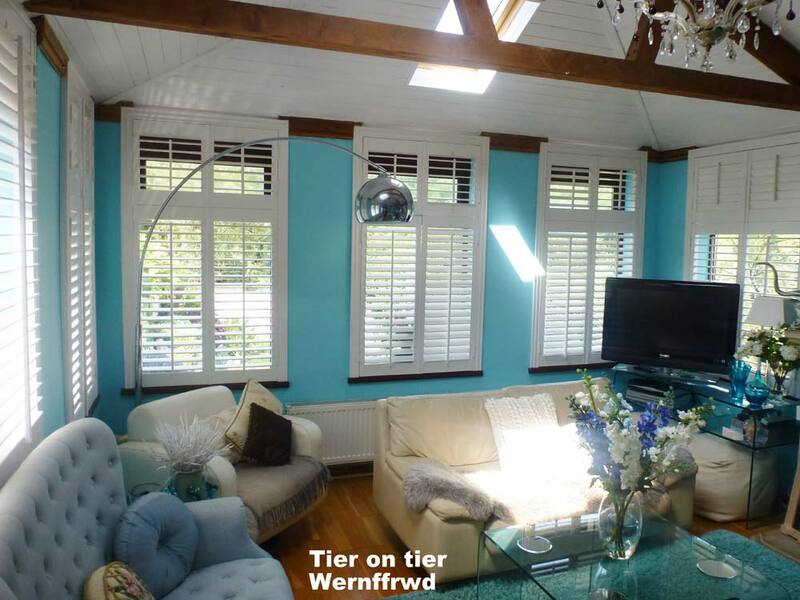 From Cardiff to Haverfordwest and beyond, internal shutters are taking the market by storm. Look in any of the quality interior design magazines and shutters will invariably be featured. 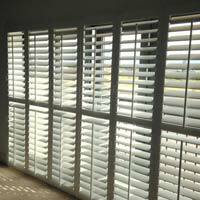 Carefully crafted from the finest basswood or faux wood PVC for years of lasting beauty Chic Shutters are an exceptional long-term investment. 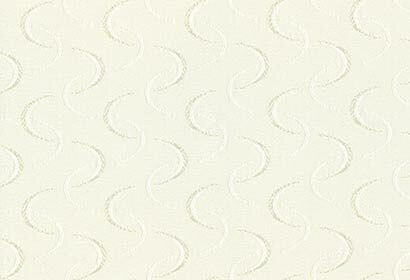 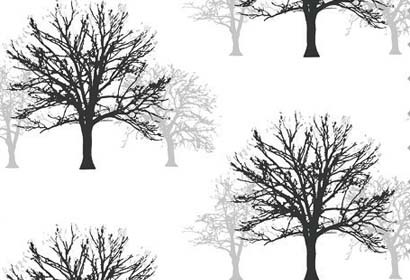 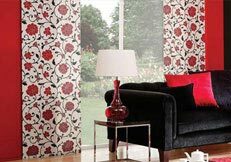 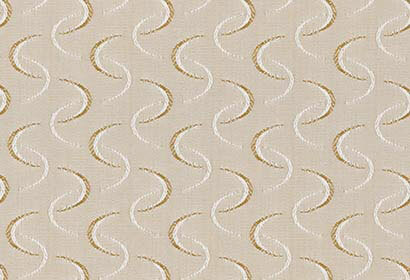 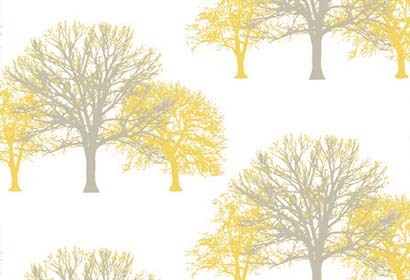 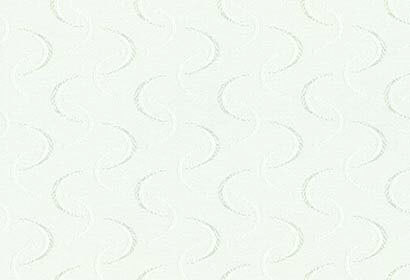 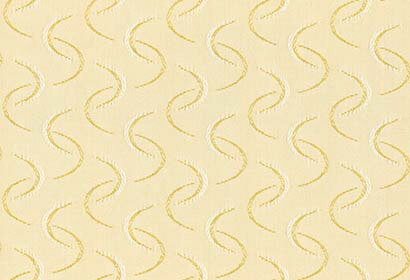 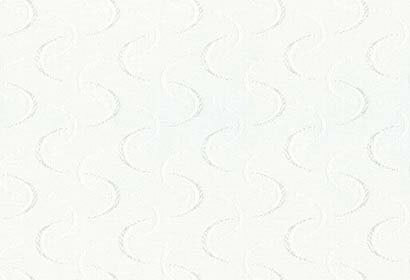 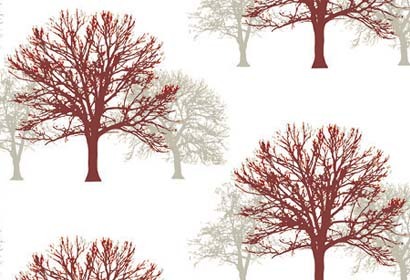 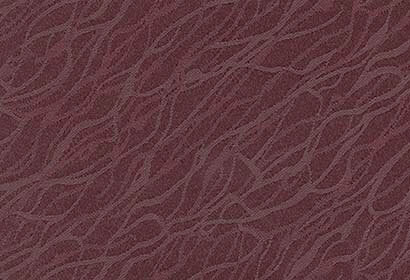 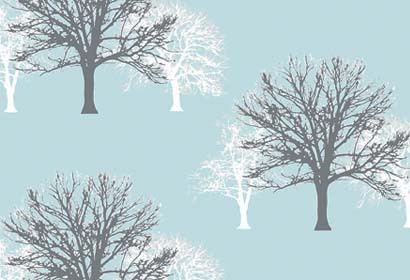 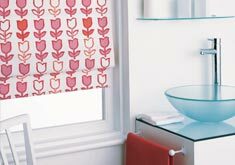 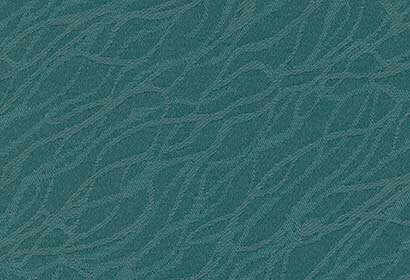 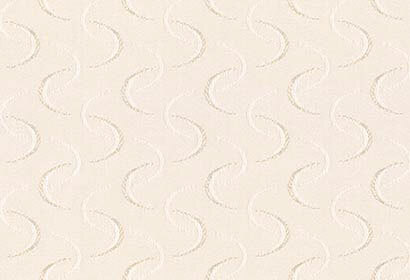 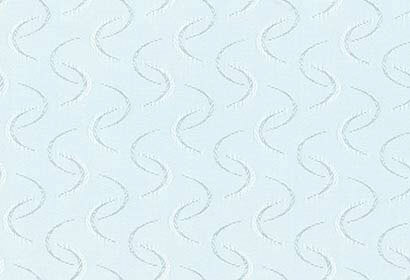 The modern elegant designs continue to add value and distinction to your home, no matter how often you redecorate. 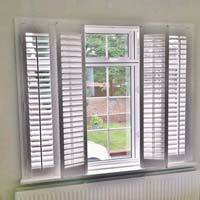 The sleek adjustable blades ensure privacy, reduce external noise, enhanced insulation and improved security. 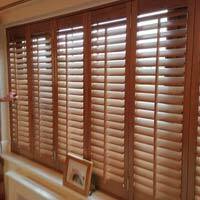 In order to create a dramatic and classy effect, homeowners are increasingly fitting interior window shutters. 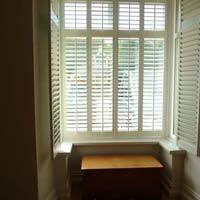 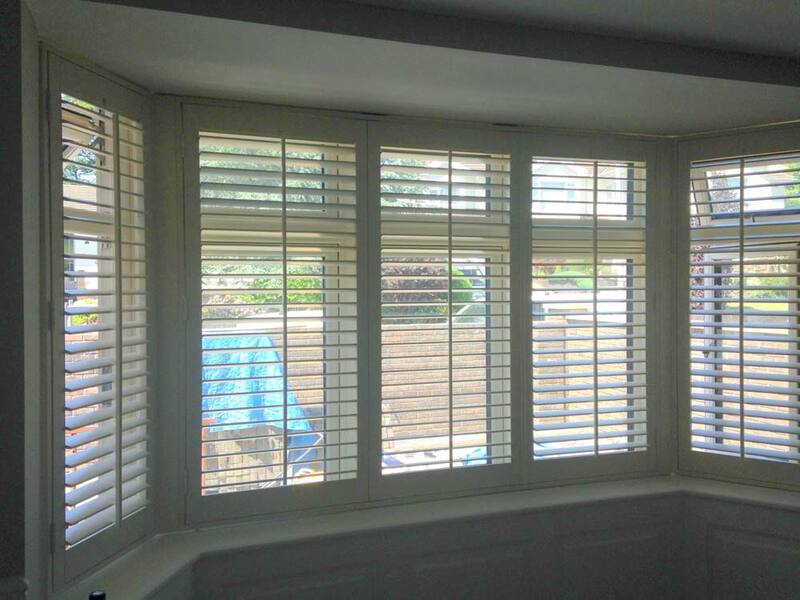 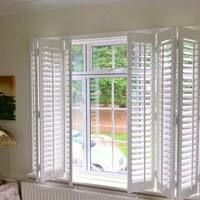 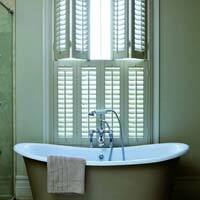 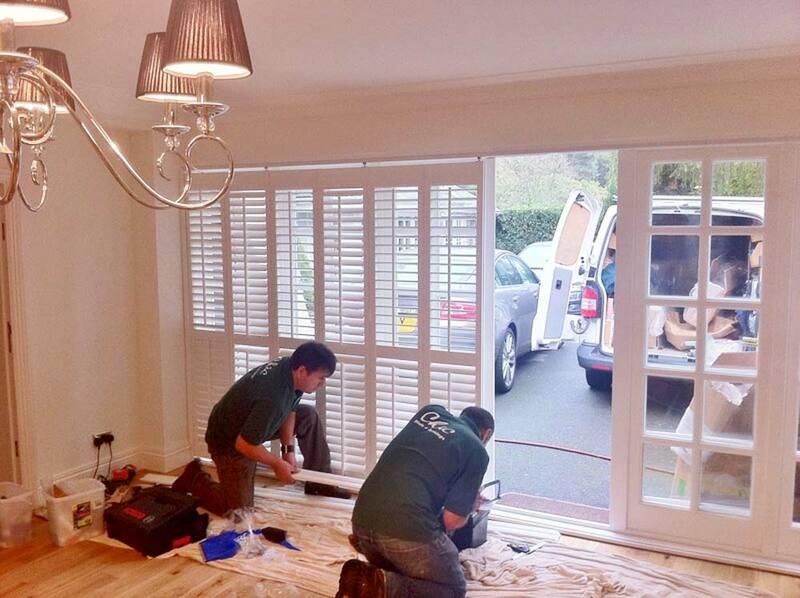 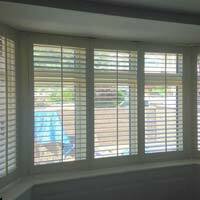 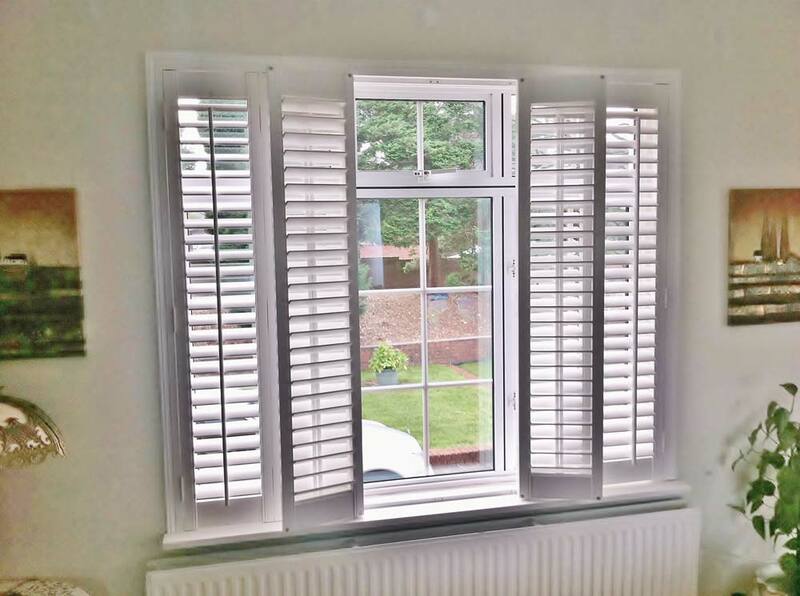 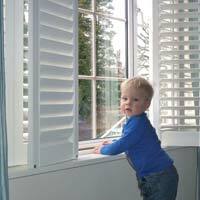 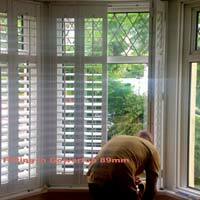 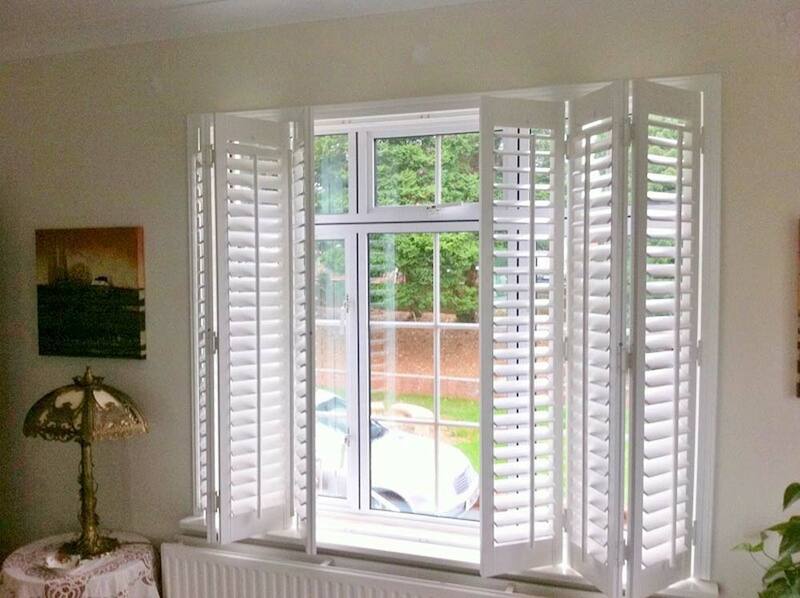 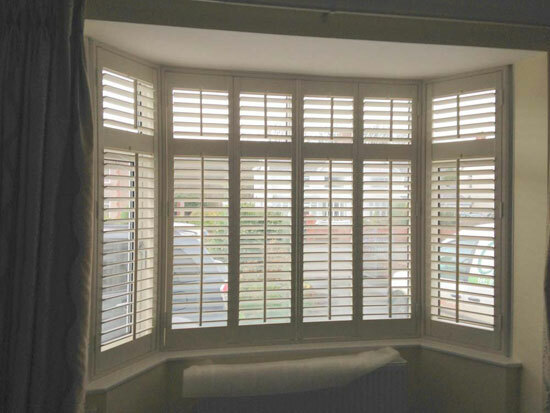 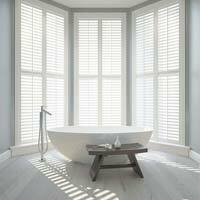 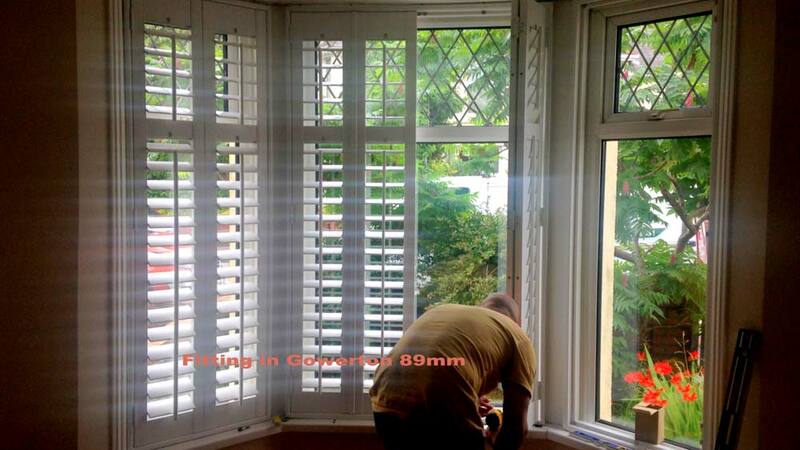 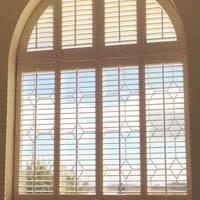 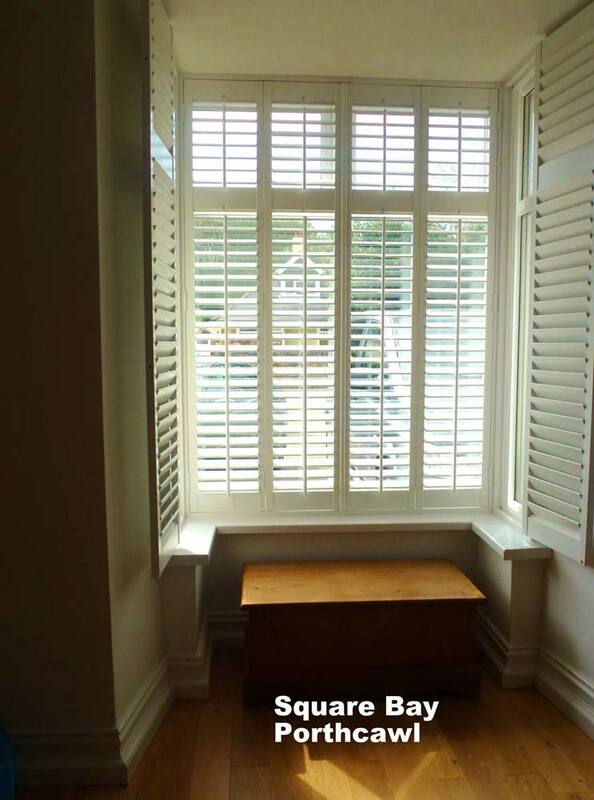 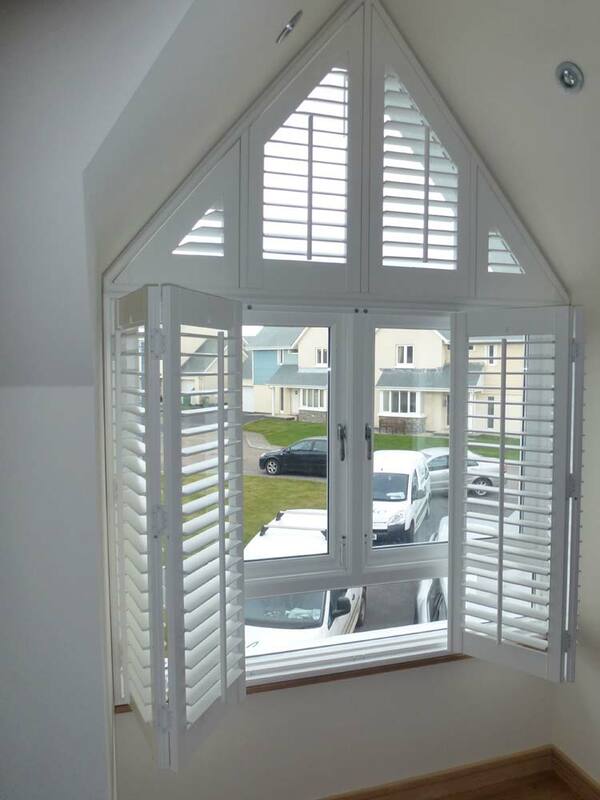 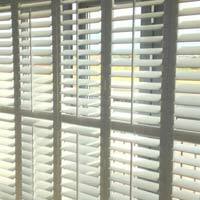 Plantation shutters are also well suited for unusual or difficult situations. 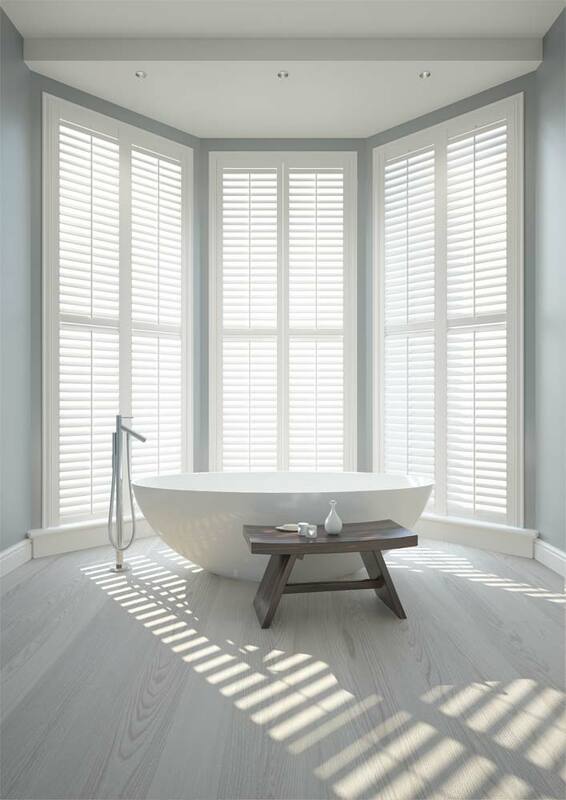 Full Height - Each shutter panel will extend to the full height of the window (height restrictions apply) All louvers move together allowing varying degrees of light dependent on the width of louver chosen. 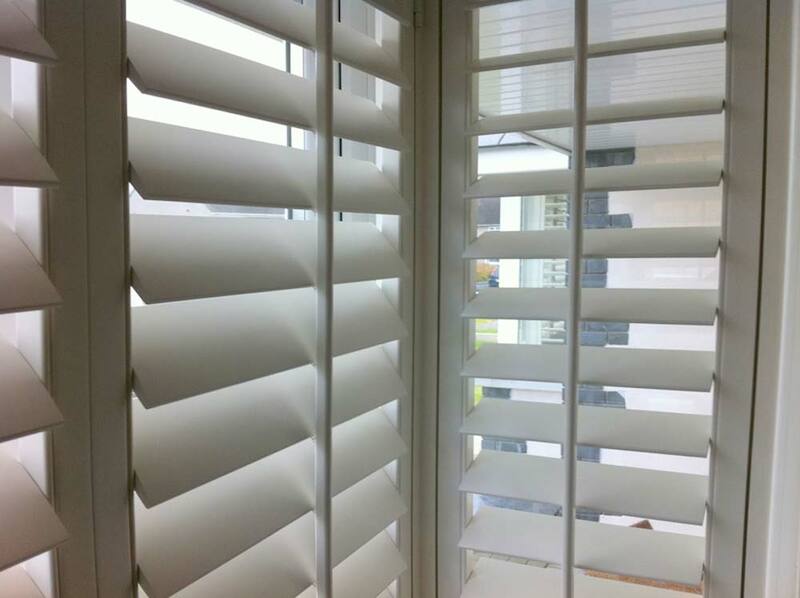 Full Height with Mid rail - As above but with the flexibility of opening the upper louvers while the lower ones are kept closed or vice versa. 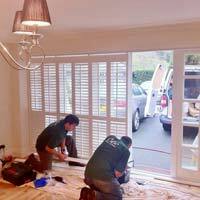 Tier on Tier - Two sets of shutter panels are fitted one above the other allowing the option of drawing back the upper set whilst keeping the lower panel either fully or partially closed. 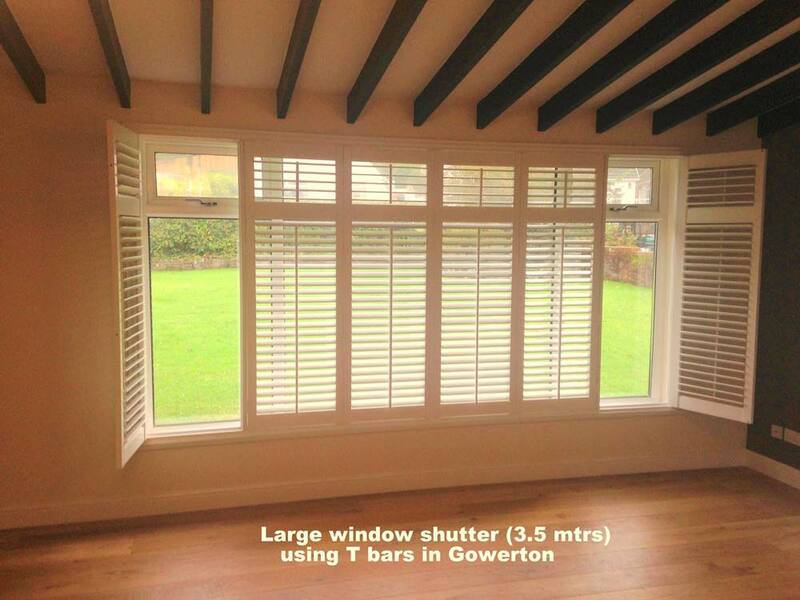 Cafe Style- Shutter panels are fitted only to the lower part of the window. 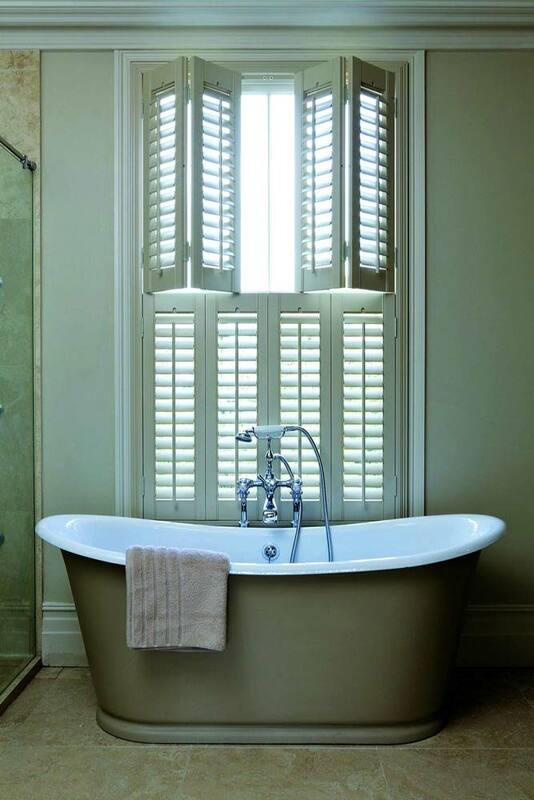 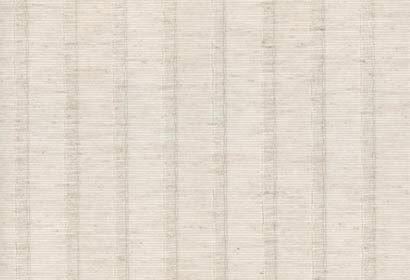 Chic also offers a choice of 4 different internal window shutter widths: 47mm, 63mm 89mm and 114mm. 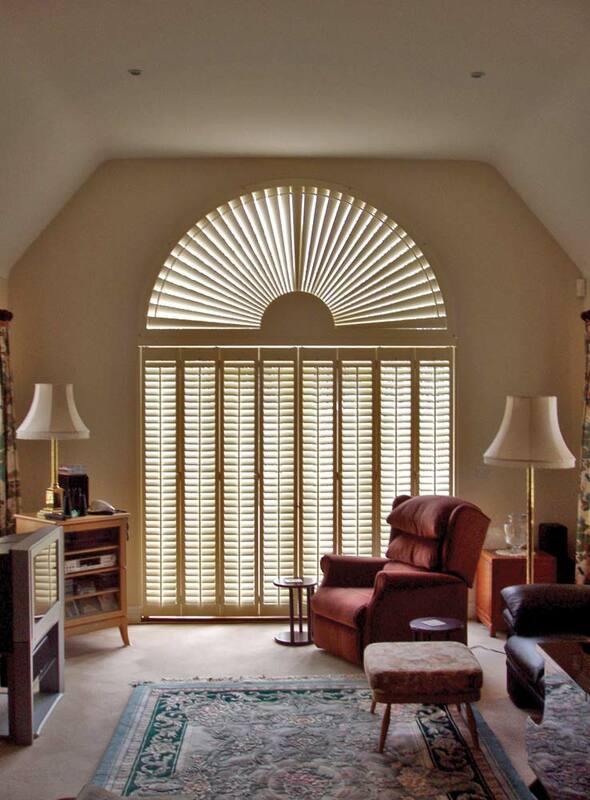 The narrower slated louvers offer the greatest privacy level in the tilt position whereas the wider louvers allow the greatest level of light when tilted. 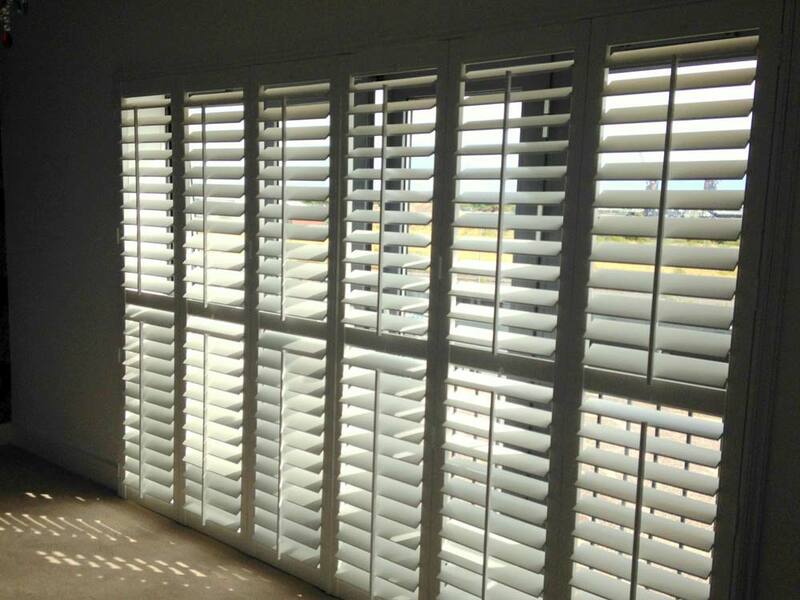 Traditionally shutter louvres have been tilted from the open to close position by tilt rods which are placed either centrally or offset within the panels. 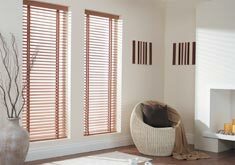 This continues to be the option of choice but there is now an increasing demand for hidden tilt rods which gives a more minimalistic look. 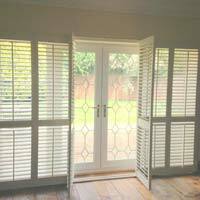 Standard frame Shutters can be used to cover windows or doors up 3 meters square and bigger. 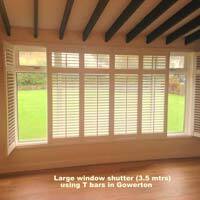 The use of a top track system however can permit sizes as large as 10 meters wide by 3 meters high. 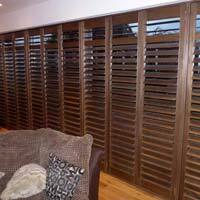 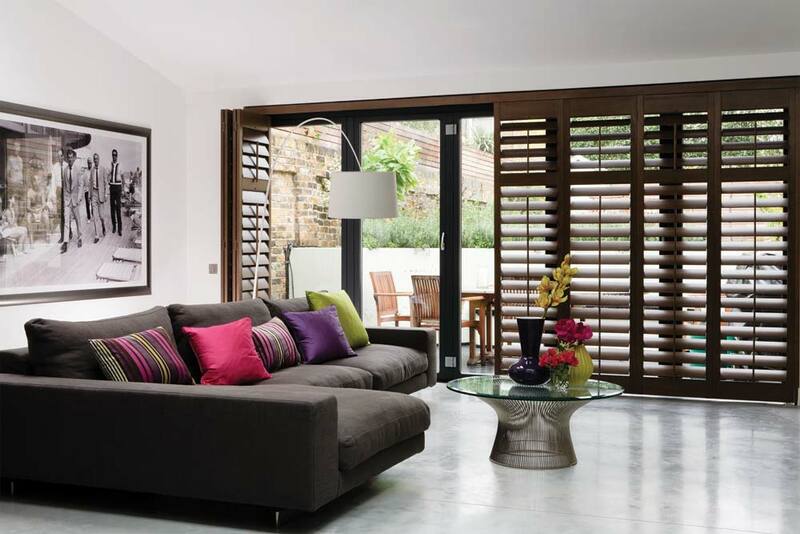 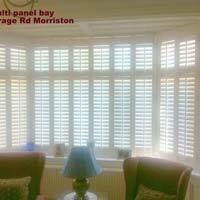 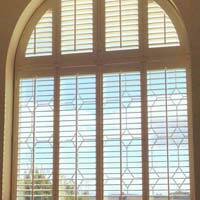 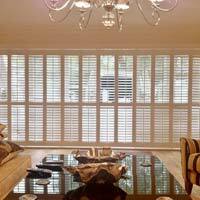 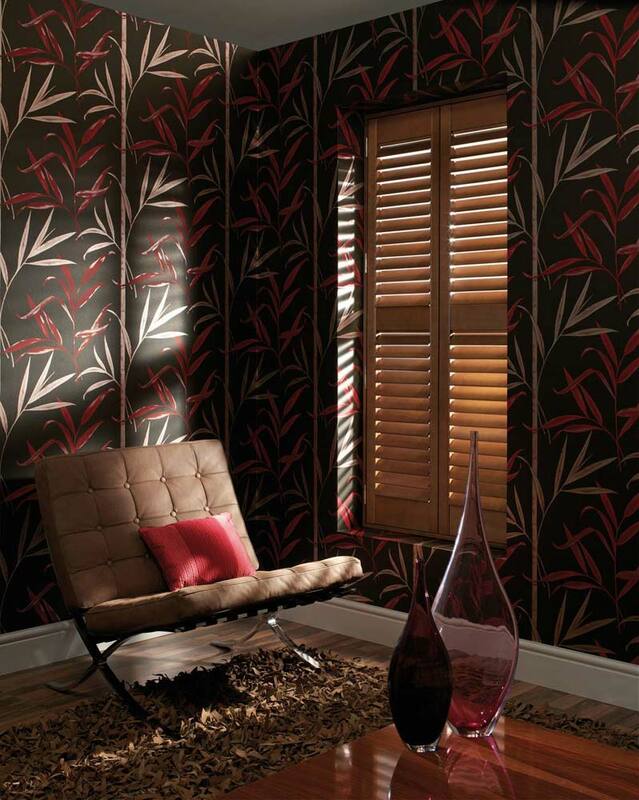 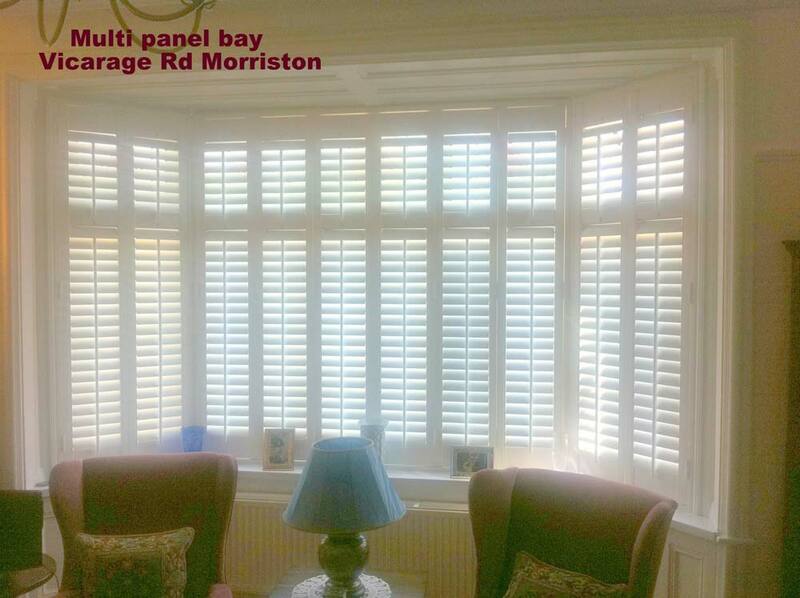 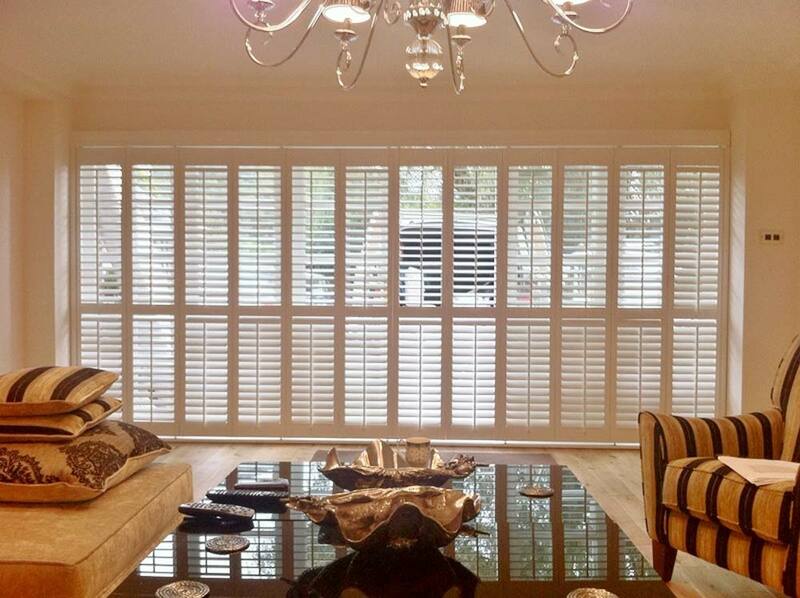 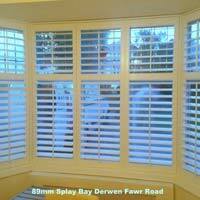 Shutters can also provide a superb room divider (open or close louvres as required). 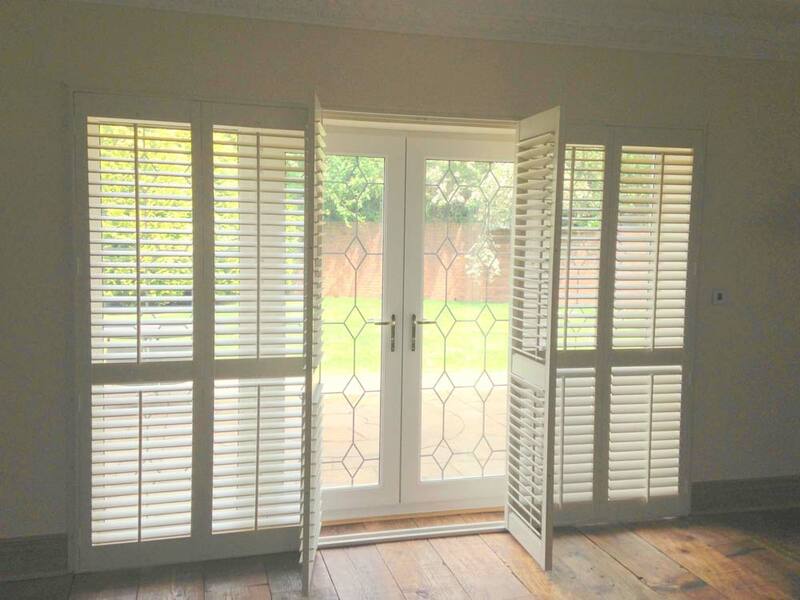 When shutters are drawn back they can fold back along the wall if space permits, or alternatively will fold concertina style within the reveal of the window. 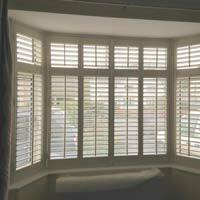 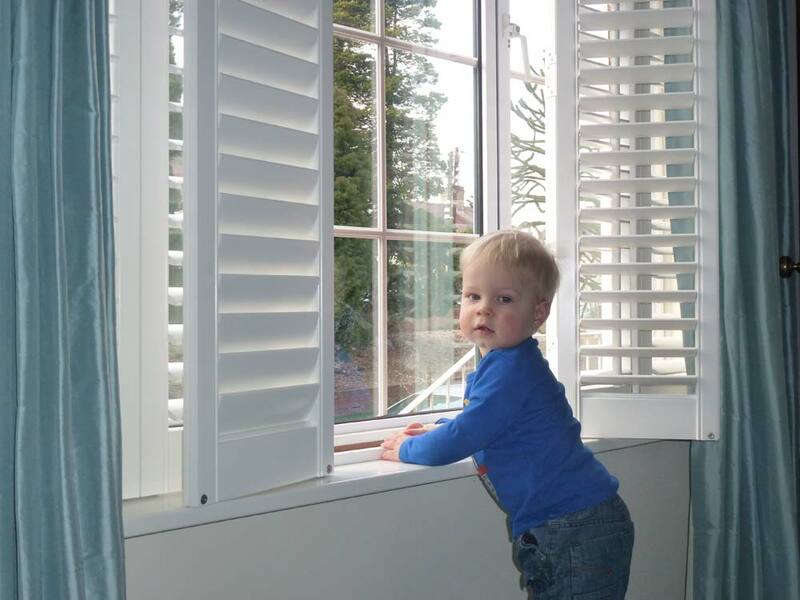 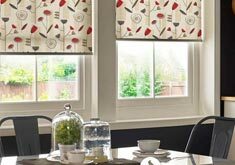 Dressing bay windows with curtains often presents problems whereas shutters invariable will provide the ideal solution whether the bay is curved, splayed or curved. 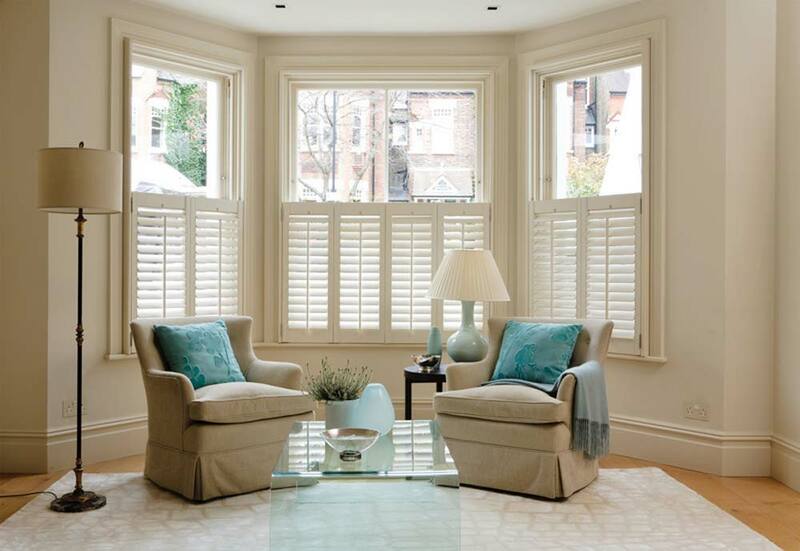 Shutters will work equally well whether your home is of modern design or of traditional Victorian architecture. 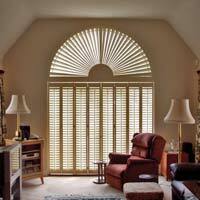 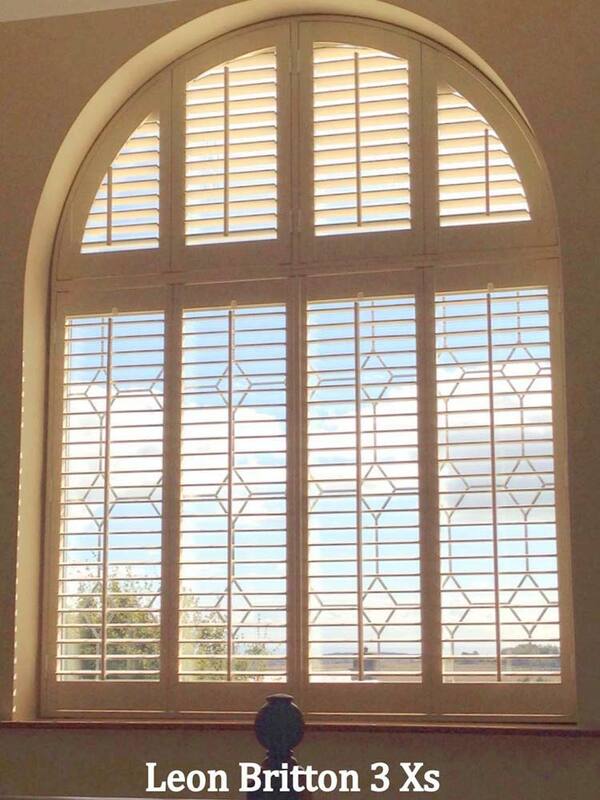 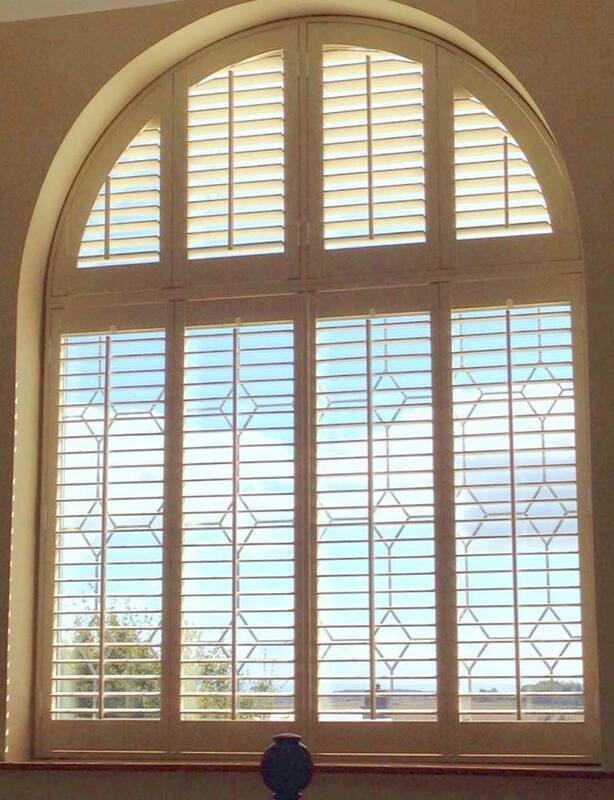 Internal window shutters can also be made in shapes such as circular, octagonal, triangular, or half-rounded. 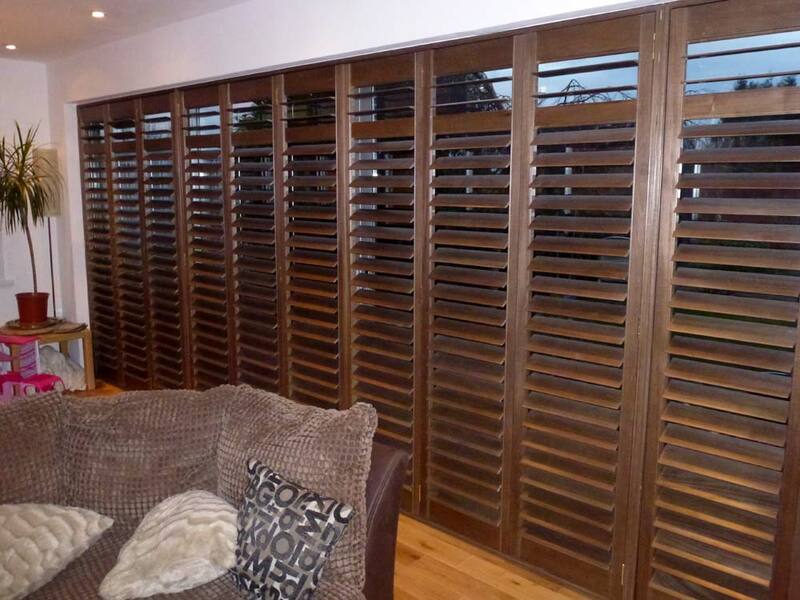 Using internal window shutters in these types of applications can provide a stunning effect! 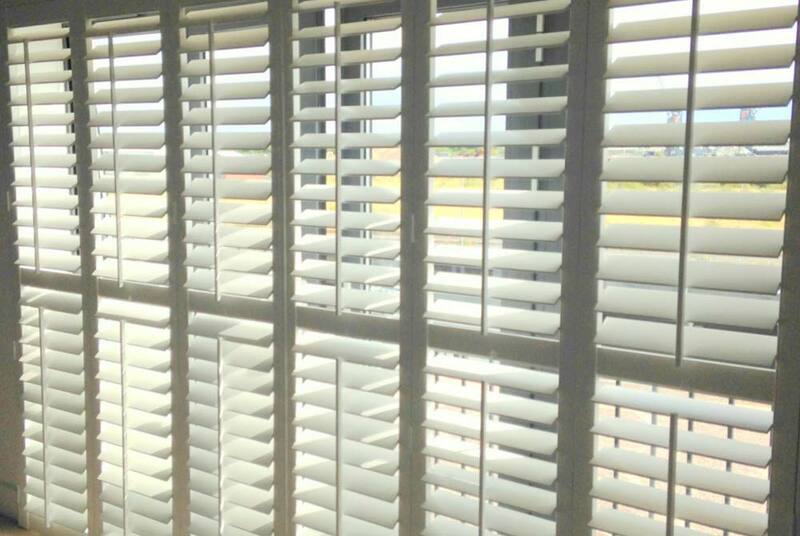  A shade of white is the generally the preferred choice for most interior window shutters but there is also an extensive range of various wood stain finishes. 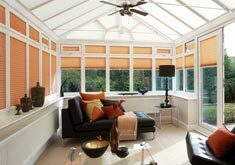 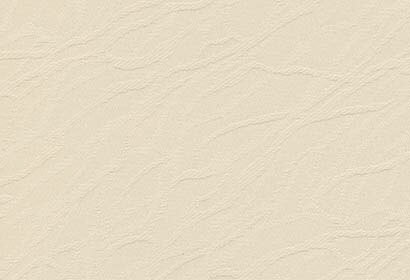 Should there be a requirement for a specific painted colour then Chic can offer to match any colour in the Dulux or Farrow & Ball range. 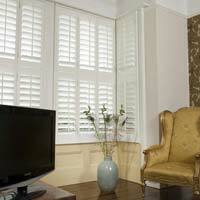 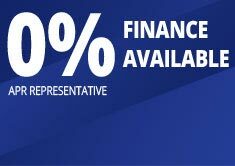 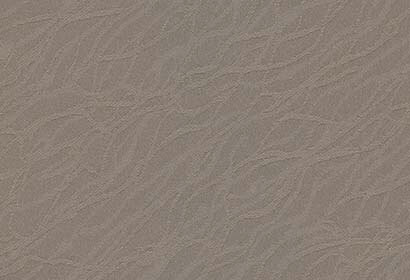 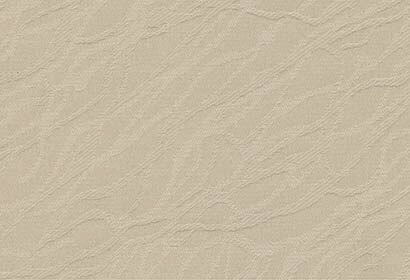 At Chic we do not offer a fibreboard option be it MDF or LDF. 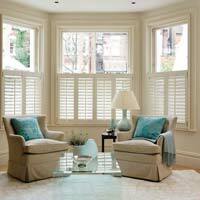 Over the years Chic has offered a choice between either solid basswood (hardwood), or engineered hardwood. 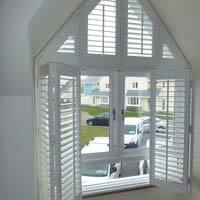 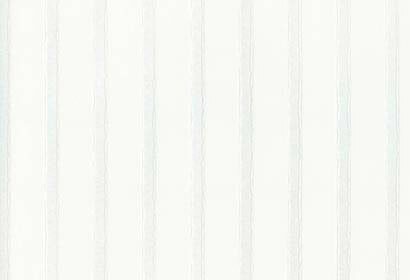 During the last few years however a range of Faux Wood PVC shutters have been introduced which have become the material of choice for many. 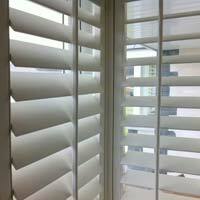 In appearance the wood and PVC are virtually indistinguishable.